I have a question I am repairing a 2005 sunline Solaris t - 2363 that has water damage in the rear bedroom. Some of the rear wall framing has rotted out but it is repairable from the inside does anyone know if the siding is attached with nails, screws or glued to the frame? Thank you. Would you happen to know if the siding is removed from the bottom or top first in order to re staple it to the new wood studs. Just like house siding, it's installed from bottom to top. Removal would be from top to bottom. 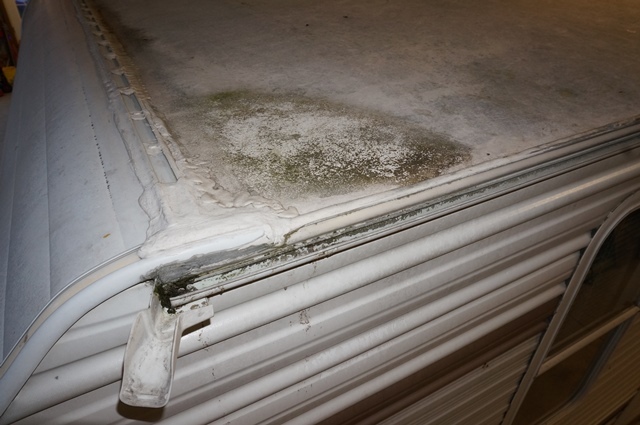 Heads up, ideally you fix the majority of your water damage from the outside. This will leave less to repair to the interior and still all match well. Plus the repair will be a lot sounder fixing it from the outside in rather than the inside out. If you can see water damage on the back wall, odds are high there is other damage. 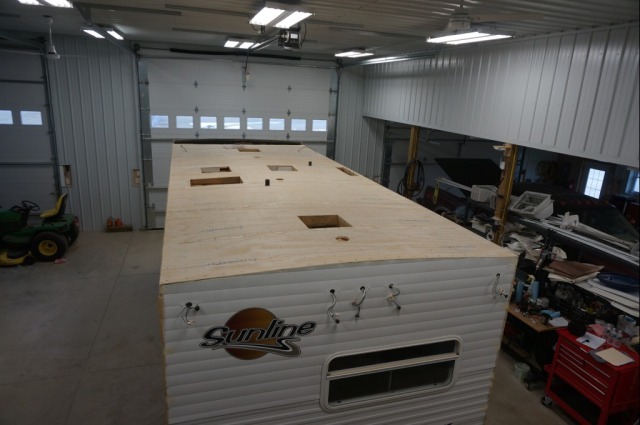 Could start at the roof line, down the back wall and then under the camper. Taking the back wall off will expose you to what you are up against. These posts may help. While a different floor plans then yours, the way you fix them is the same. I also happen to have a 2005 T2363 apart at the moment if have floor plan specific questions. Just these pics are not up on the site yet. This is another one of my project campers. 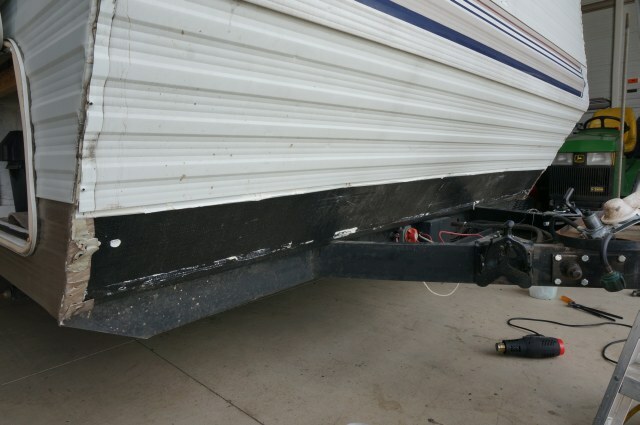 I never made it to posting all the how to's yet, but this camper is back together at the moment. I need to do more on it yet. Roof and back wall. Hope this helps and ask away on any questions. 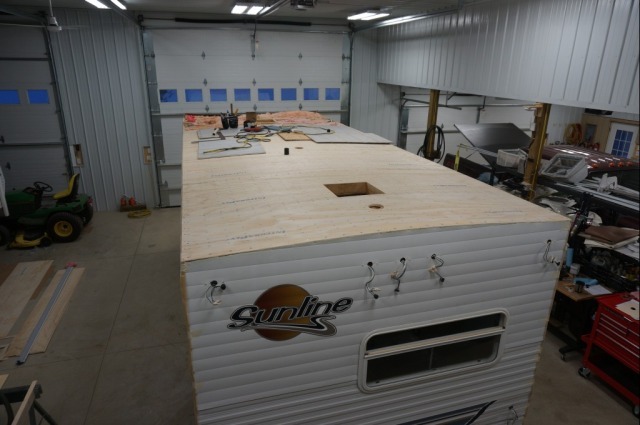 On a Sunline camper, actually no this is not like a house. The top piece of siding goes on first and the bottom piece goes on last. So taking the siding off, you start at the bottom and work your way up. 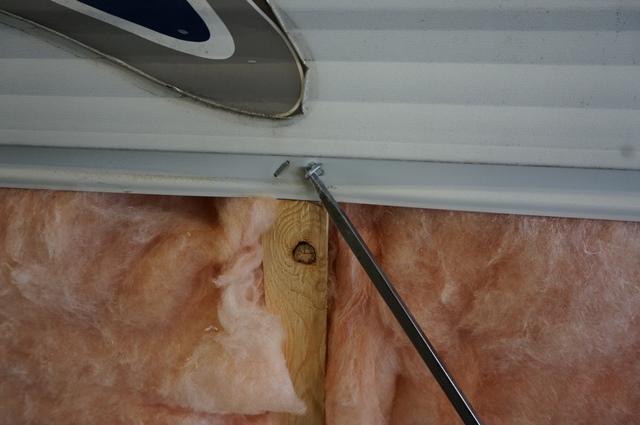 I am trying to find a pic of the siding joint to show you. The siding staples are at the bottom on our Sunlines. On house siding, the nails are at the top of the siding. 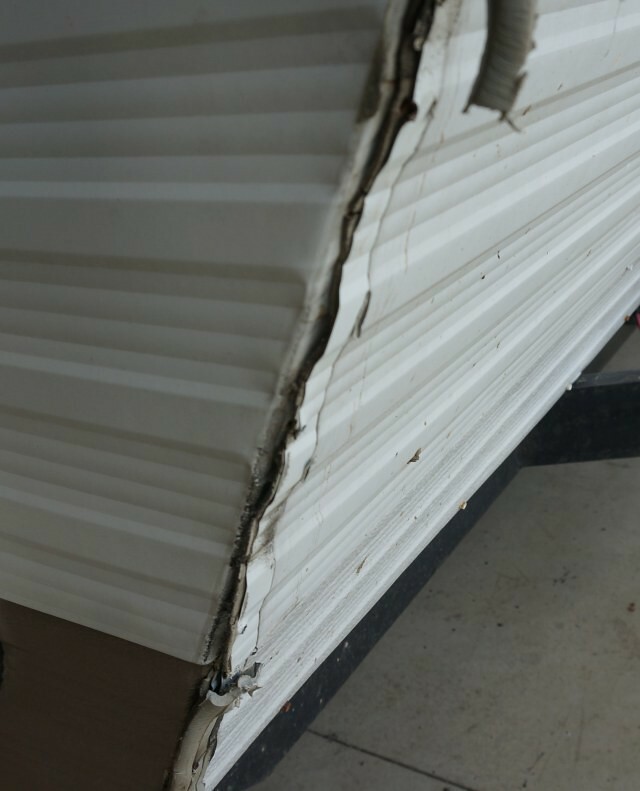 Before any front or rear wall siding can come off, the corner moldings have to come off. And any windows or other things mounted in that piece of siding. If I cannot find a pic of the joint, I will take some tomorrow and post. 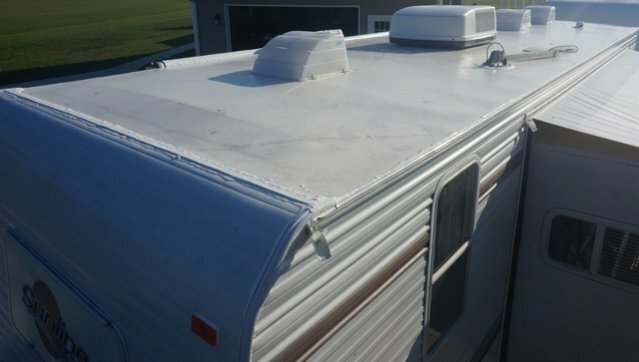 The person I bought the camper from had a tree branch go through the bedroom roof. All the damage is confined to the rear bedroom I have already removed the rotted floor, ceiling and back wall from the inside. Luckily there are only a few rotted studs on the back wall and I have to replace two of the ceiling Trusses. I'm going to take your advice and remove the siding to replace the studs. The wet Bud board has been removed from the EPDM Rubber roof any recommendations on replacement under it maybe Luan? To help all following along, here are some pics of the siding joints. Here are a few side shots of the siding joint. This is with the entry door removed. And down at the bottom. 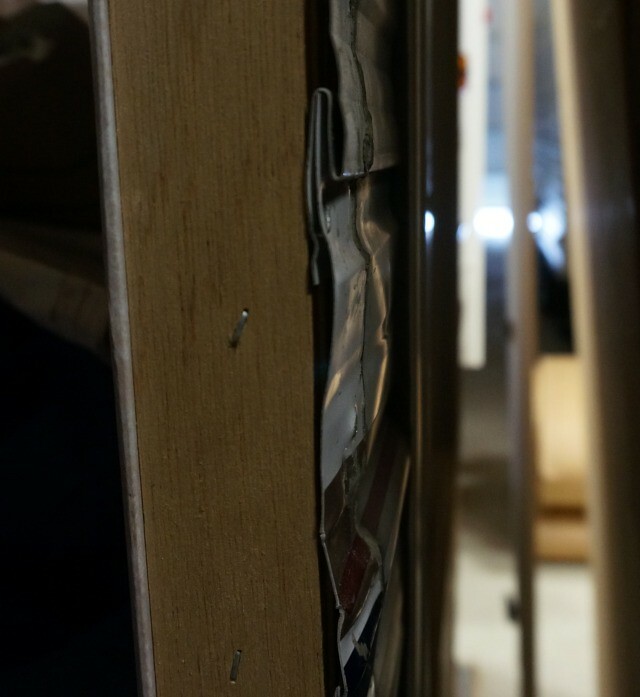 Once the bottom gold siding is removed, the staples of the first bottom white sheet are exposed. A few other things to know. 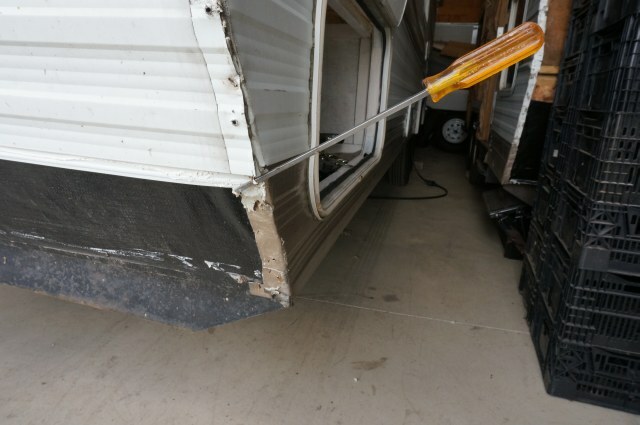 If you are going to remove siding, there is a sequence to how the camper was built that has to be reversed in order to get the siding off. The front and rear siding was installed "after" the long left and right side siding was installed. 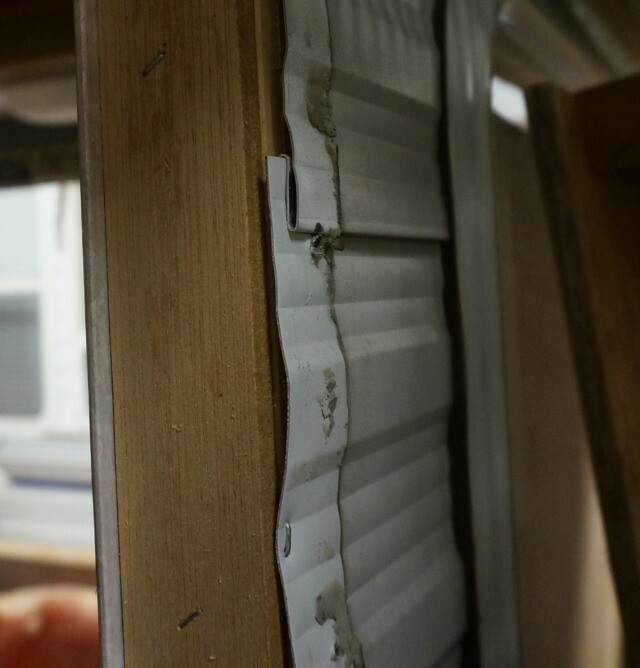 The long sides siding has tabs that are longer than the wall and folded over the ends of the corner studs. Then the front and rear walls are stapled over the top of those tabs. Point being, if you just want a front or rear wall off, you can take that wall off directly. If you want to take a complete left of right side wall off, you have to remove the front and rear wall first, then take the side siding off. Here are some pics of the corner joints showing this with the corner molding removed. This is a front wall, the back wall is the same. 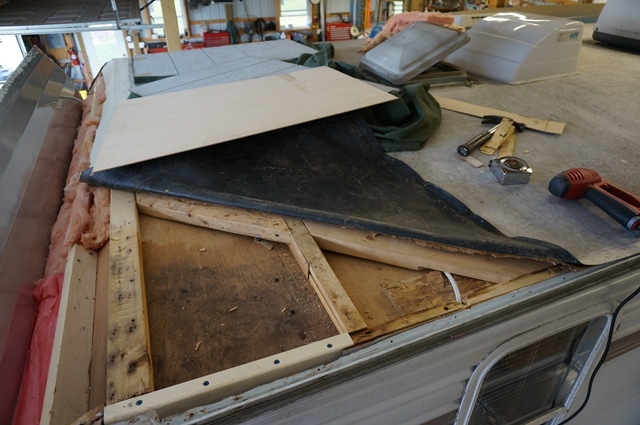 Before removing siding, any doors, cargo hold doors, fenders, corner molding etc. that cut into the bottom siding needs to be removed. Then you can start on the siding. To start, the front bottom siding is screwed on. See the rusted screws along the bottom. Taking those screws out and staples in the ends of that sheet in the corners, and the bottom sheet will come out. Again, same for the rear wall. Here you can see the tabs of the gold siding folded over the corner. Here is a side shot of the corner with the front siding over the top of the side siding tabs. Then you can get to the staples on the sheet above the bottom piece. A heads up on the front wall. 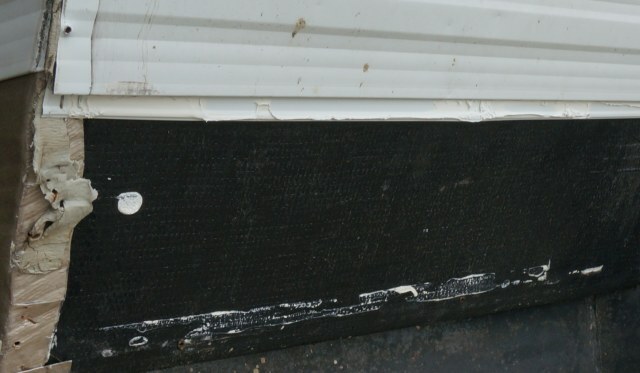 I do not know what model year Sunline started this technique, however on anything 2004 and newer, the front siding sheets have butyl caulk between the top of the sheet and the bottom of the sheet above it. 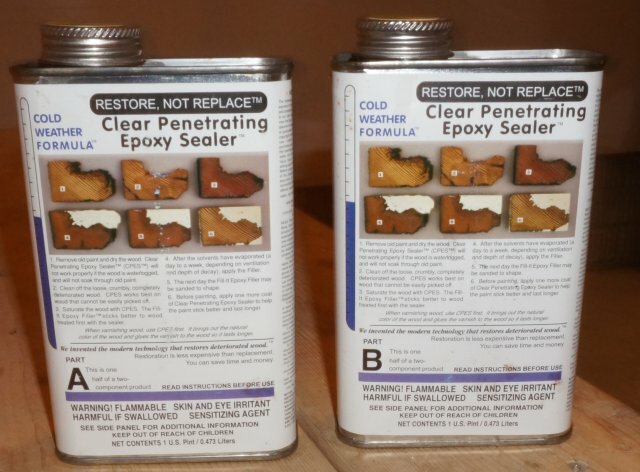 I suspect this caulking goes back into the 1990's models as well. This is to help stop driving rain water from coming in the siding when towing in the rain. 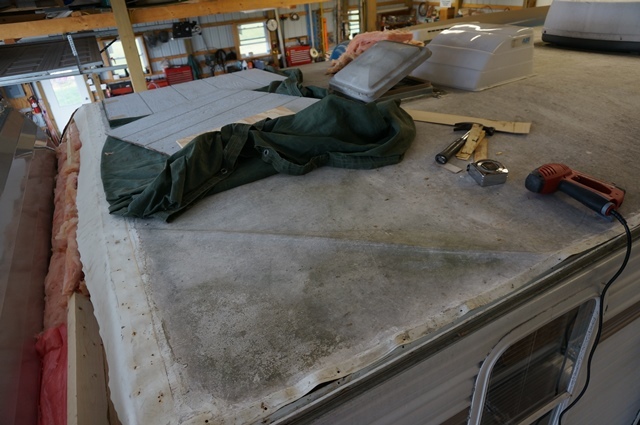 I have found, using a heat gun and warming the entire width of the camper at that joint will soften the butyl enough you can pull the sheet out. This is only done on the front wall. While we are on taking siding off, on the "non slide room" Sunlines, the long side walls lower piece of siding (gold in these pics) is stapled up from the bottom. See here. 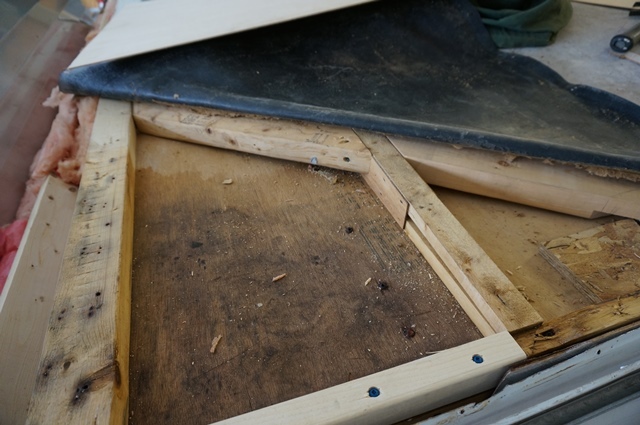 The slide room campers are built different as the frame is so much wider, the bottom piece is siding is hanging down from the floor wood to cover the frame up. OK I see, you have a very wet camper doing roof, ceiling and floor repairs. Yes, pull the back wall off, you can then look at the bottom end floor joist. 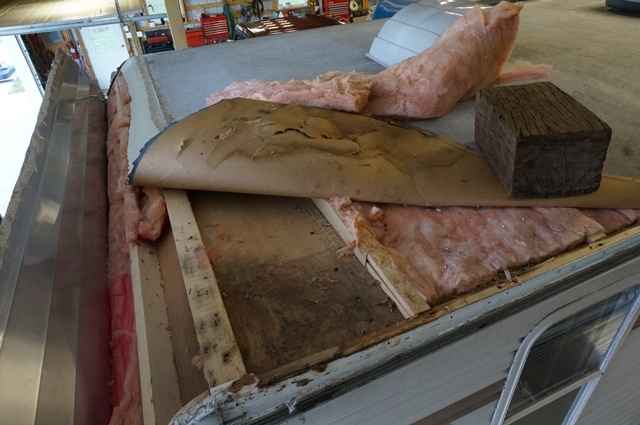 If there was any corner rot, from a roof leak or a corner molding leak, it normally takes bottom rear wall floor joist in the back on the non slide camper. All the water sets stuck there above the black Darco waterproof membrane and rots. Now to the roof repair, I have done roof repair a few ways depending on how bad the roof was. 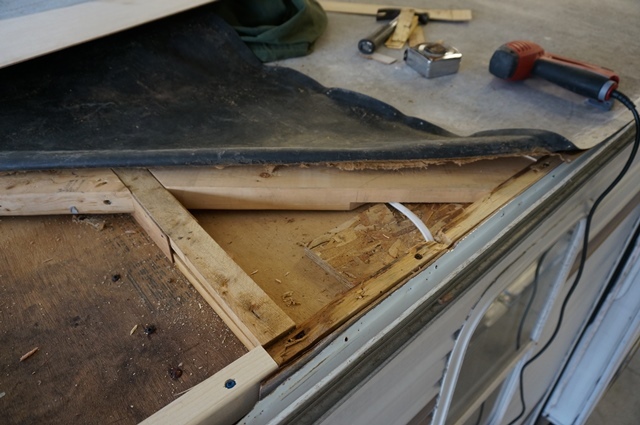 If I just had a corner leak that took out the bud board and had say, a 2' x 2' wet spot in the bud board, then I would use new 1/8" luan supported by a framework under it and glue the rubber to the luan. In this case, the thin luan was supported enough to hold rubber. It was not a large span of unsupported luan. See here. This is on a 2005 T264SR camper. It had a front and rear roof corner leak. Scored the budboard to make a clean cut and patch tie in onto the 1/8" luan. Installed supporting wood for the tie in to support the thin luan. Had to deal with power cables too. This is also Rot Dr treated with CPES to kill any dry rot fungus and stiffen up the ceiling board. Here is that corner all repaired and the roof cleaned. You can see the a faint dirt line where the angled transition of the patch is. That said, the 1/8" made it work well on a "patch" that small. I sanded then transition edge of the luan to help guide the budboard over onto the luan that then only had rubber on it. This helped on the thickness difference. 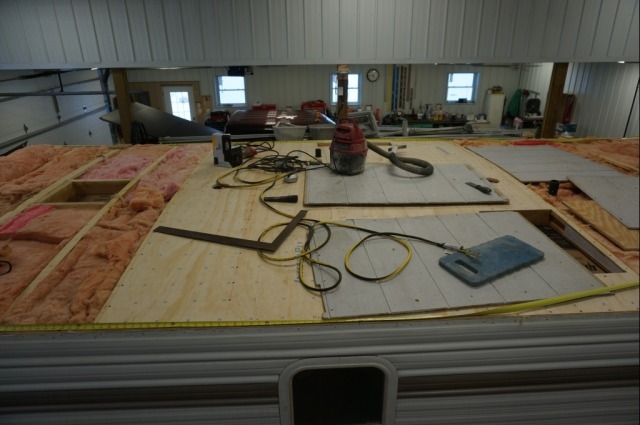 On larger areas, like the entire roof, I have done 3/8" BC sanded exterior plywood on walk on roofs. 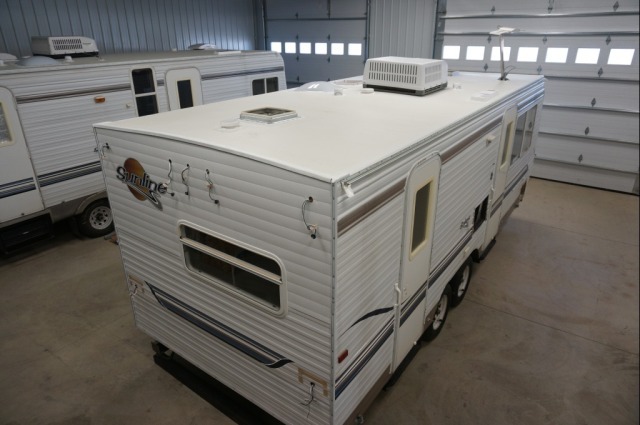 That camper a 2006 T264SR had enough cargo capacity to handle the increased weight. On lighter campers, I used this. Why I used that in place of the 1/8" luan? In this case I was doing the whole roof. I wanted something more substantial then the 1/8" luan and it was thick enough I could countersink no. 6 flat head screws in it. It is still not a walk on roof, but it is light years stiffer then the budboard. In this case, it added only 47# to the T2363 for the entire roof. A few pics of it. 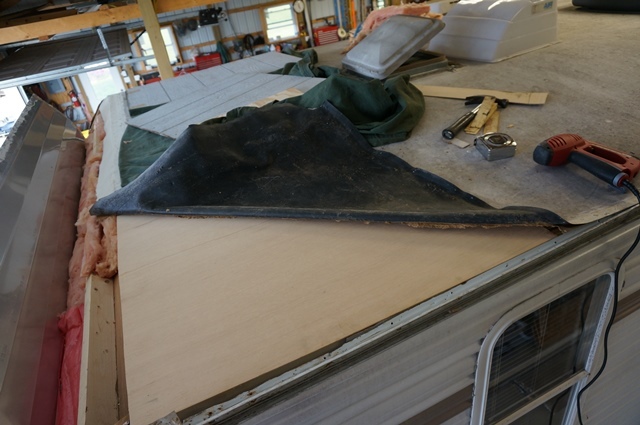 Due the rafter spacing, I started in the center of the camper putting the decking down. I could use the sheet drops for other areas on the roof. Rubber on and roof flanges. With all that, how big an area are you replacing? John, it's about a 8-foot section of roof I think I will skip the Luan and go with the sanded plywood that you recommended. 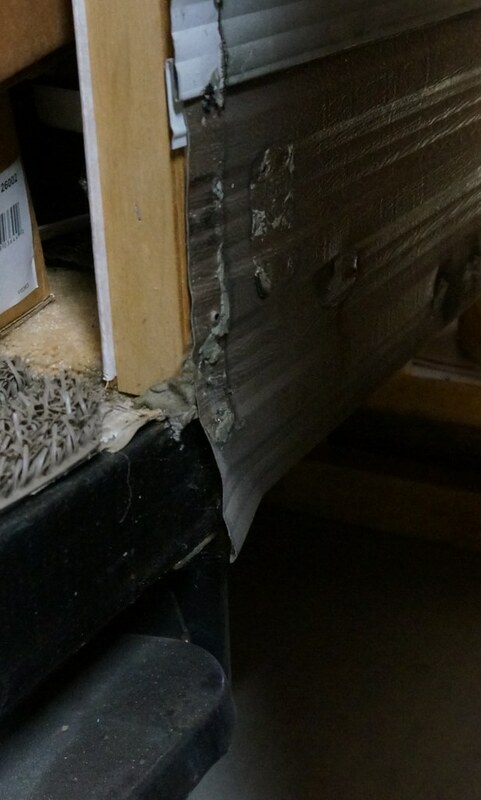 Is there a specific mold / mildew spray that you use on the Framing and floor joist? 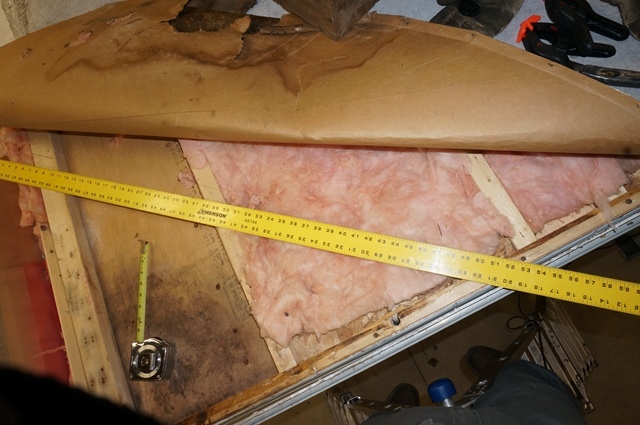 I have read that is not recommended to place any wood with pressure treated what type wood do recommend when replacing floor joists, wall frame and ceiling trusses? I work in construction/remodeling, and yes, pressure-treated would be a bad idea. 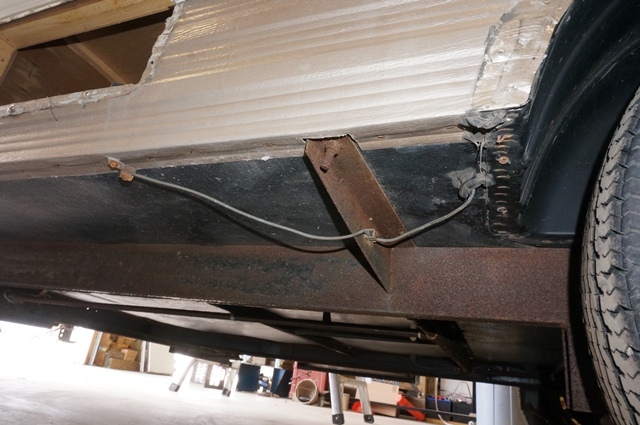 The chemicals used will corrode aluminum and non-galvanized fasteners. I'm new to the RV side of things, but I would assume the standard lumber sold at the box stores and lumberyards--usually Southern Yellow Pine. I'm sure one of the more seasoned members here will correct me if I'm wrong about that. Of course if you want to spend a fortune, oak is stronger. There is a cold and warm weather mix. If you go this way, make sure get the right one. Treat any water stained wood, even if the wood is solid. It will also stiffen up partially rotted wood. But the wood has to be dried out first. Do not use on wet wood. Odd though, it comes up "Out of Stock" May have to call them to see what is up. Heads up, you have to use a respirator, the fumes of this stuff are bad. They sell a good quality MoldEx respirator with the correct cartridges on the Rot Dr web site. I use there and have bought replacement filter over the years. It is reasonably priced, or was when I bought it. And the stink will hang around for about 3 days. But it will then be totally gone. I was worried the 1st time I used it, it this smell ever going to go away? It did, totally. Never stayed in any wood of fabrics of the camper, but it was really strong the 1st day. Oh, you stated "spray on" No, I brush it on. The fumes might be really, really bad sprayed on.